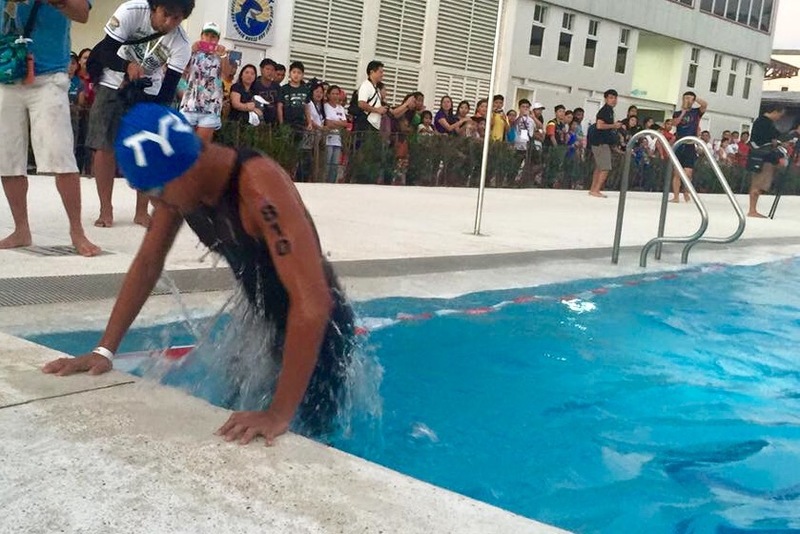 A 400-kilometer swim, a 12-kilometer bike ride and a 3- km run around the Remy Field oval – these are the challenges that was hurdled by about 300 kids participating in this year’s Alaska Iron Kids held last March 4-5 in Subic Bay. 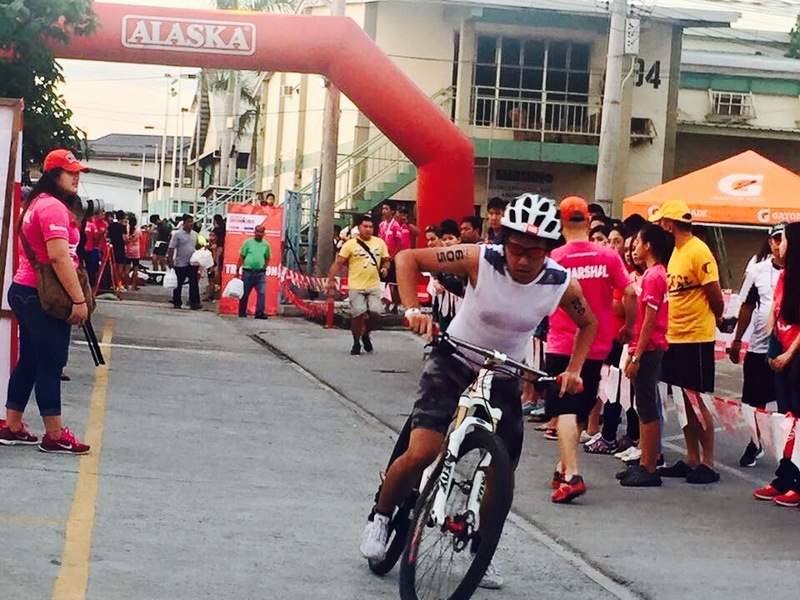 Held a day before the Century Tuna Iron Man 70.3, the stifling heat of early March was nothing compared to the fiery young competitors who showed prowess and endurance in their respective classes. 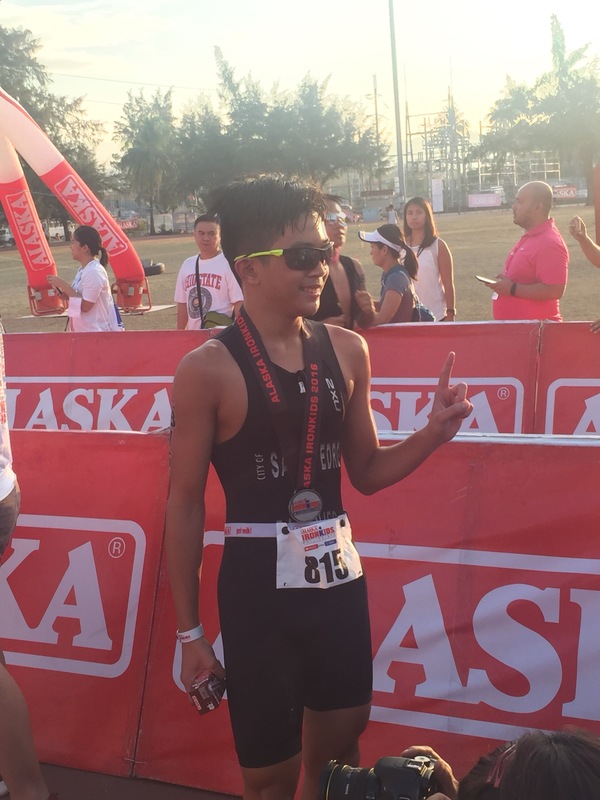 Coming out on top for the 13-14 year old category is Juan Francisco “Wacky” Baniqued, a budding triathlete from Laguna. The young man who recently turned 13 in December finished the race at an astonishing 43:08 following gun start. Baniqued shared that he has always been into athletics, joining competitions as early as 7 years old. Even as a young competitor, he has managed to blow away competition and spectators alike by consistently placing. 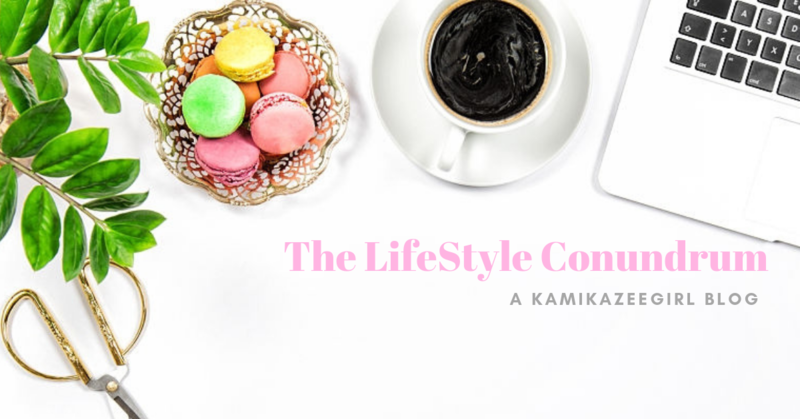 In spite the rigorous training, Baniqued shared that he is a typical seventh grader who is also dedicated in excelling in academics. Rounding up the top three are Joe Bernard Sarmiento, who finished a minute behind Baniqued and Joshua Alexander Ramos coming in at third. 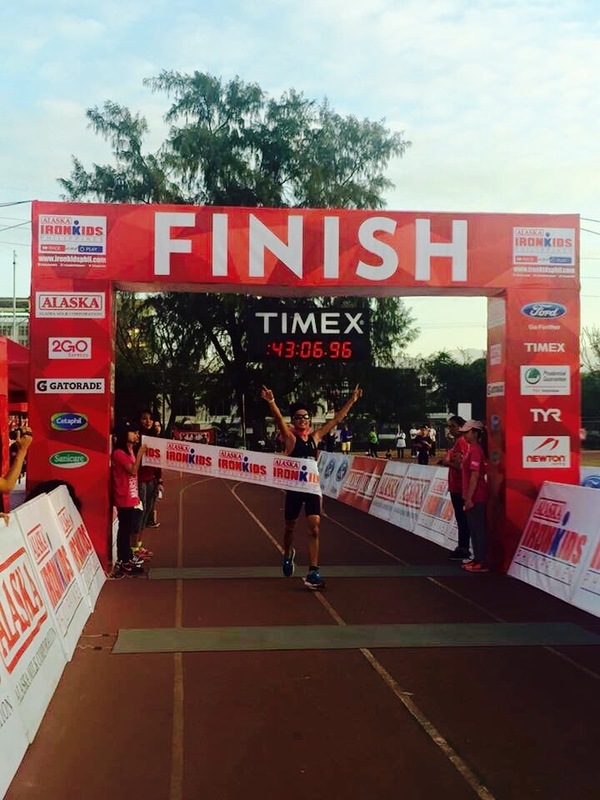 Second place finisher Joe Sarmiento is an inspiration on how dedication and pure hardwork brings results. Diagnosed at a young age with an illness that pretty much ruled out a lot of food for consumption, Joe turned to sports to develop his lungs and to compensate for his sickly nature. It is not long after that Joe started placing on major competitions, buoyed by the support of his parents. 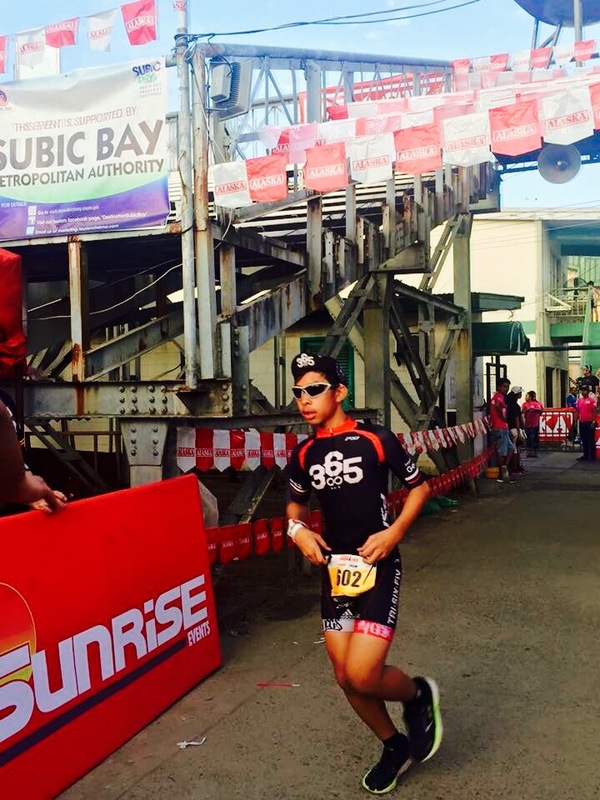 Joe hopes to qualify someday for the Olympics and will be competing in other triathlons locally and within Asia soon. For the 13-14 years old girls category, formidable swimmer Samatha Borlain dominated the category, finishing the race at 47 minutes and 52 seconds. Second place went to Everly Janerie Macalalad who finished at 50 minutes and one second. 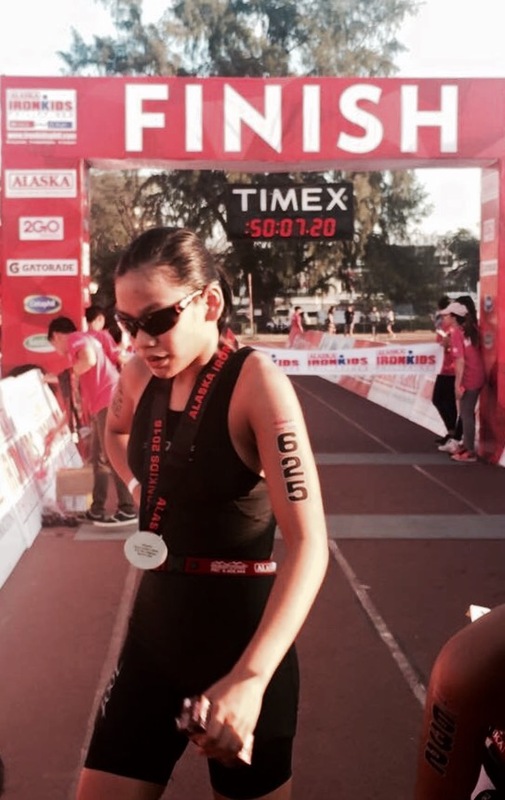 The Alaska IronKids competition actually served as a play ground for Sam and her sisters Tara and Franchezka. Tara won the girls 11-12 category while Franchezka dominated the 6-8 category. 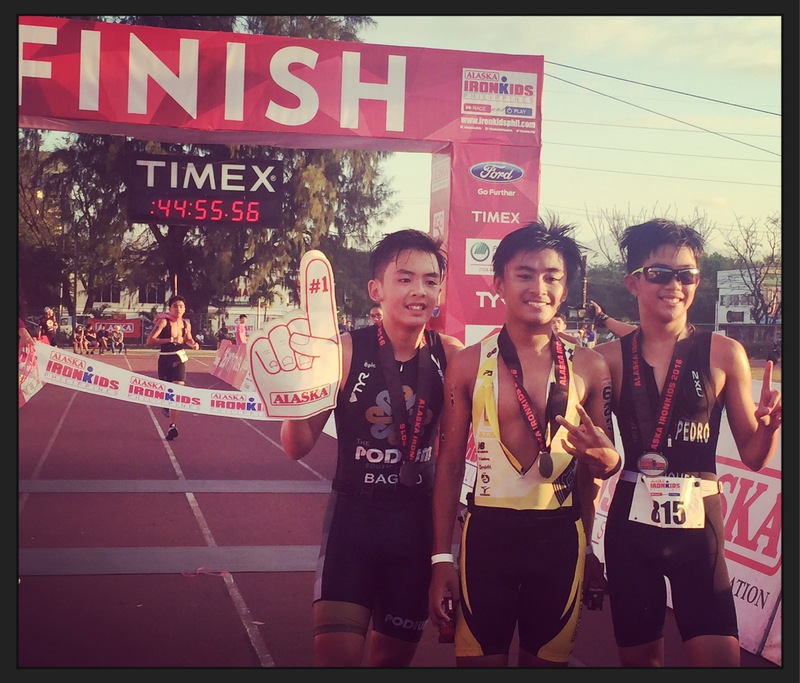 With formidable attitude during competition and endurance that can’t be easily beat, the future of Filipino triathlon is assured with these kids.